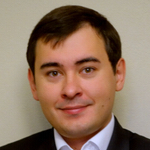 As the Global Category Manager, Max Nikolaev manages Integrity & Production Technologies Spend for one of the Fortune 500 companies – Schlumberger, supplier relationship and contributes to corporate product development and marketing strategies. Recognized as a subject matter expert in pressure pumping services, Max possesses extensive experience with domestic and international supply chain management. With over 15 years of professional experience in the oil and gas industry, Max’s previous experience includes operations management, technical and sales roles as well as Chemicals Regulatory Compliance. Max graduated from Gubkin University of Oil And Gas in 2005 with a Master’s of Science degree in Petroleum Engineering and has completed graduate coursework in the field of Pressure Pumping Services – Fracturing.